Saiz pralihat ini: 800 × 571 piksel. Leraian-leraian lain: 320 × 229 piksel | 640 × 457 piksel | 1,024 × 731 piksel | 1,280 × 914 piksel | 2,100 × 1,500 piksel. 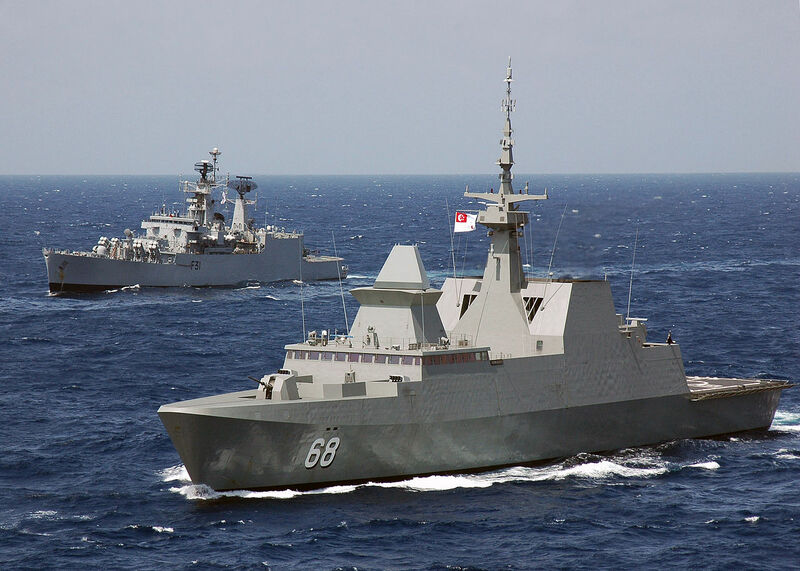 English: Republic of Singapore Navy frigate RSS Formidable (68) steams alongside the Indian Navy frigate INS Brahmaputra (F 31) in the Bay of Bengal. This Image was released by the United States Navy with the ID 070905-N-9076B-231 (next).